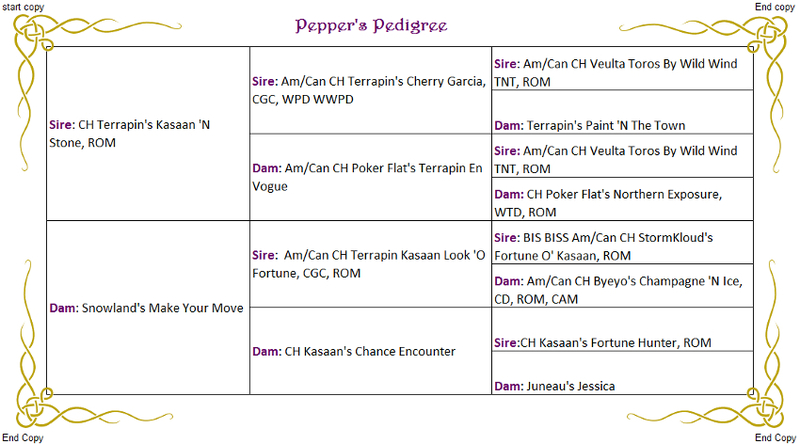 PEPPER is a repeat breeding (March 2005) of our POPPY and a full sister to DAISY owned by Al Qantarah's Kennels in Italy. Pepper, like her mother SUGAR has incredible side gait, and a temperament to die for. She has her father's (GRANITE) head piece and his lovely soft expression. Pepper finished her Am championship with 3 -4 pt majors in very limited showing!!. She not only has proven herself in the show ring, she has now proven she can produce as well!! 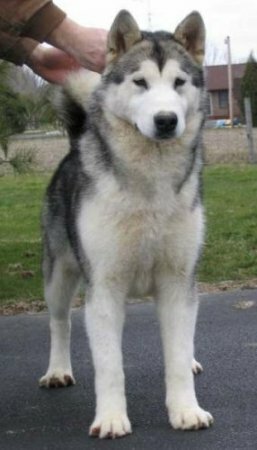 Watch for her kids from her first litter out of Jagger~~ Ch. SnoShire Polaron's Excalibur in 2009/2010!!! NEWS FLASH!!!! 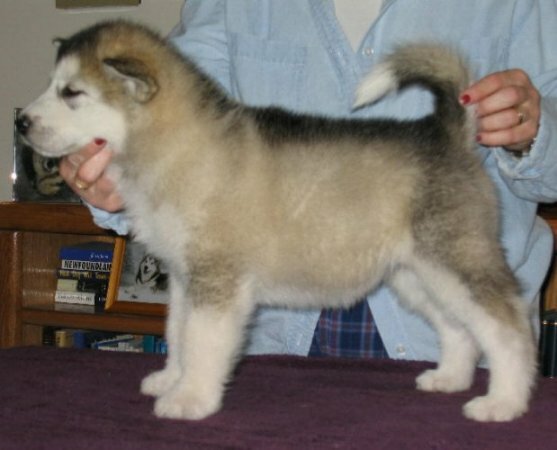 SPENCER~~ Kasaan's Seize T' Fortune (whelped 9/12/2010) has hit the show ring by storm. Spencer is a Junior Sweepstakes winner 1st time in the show ring!! he is also a BEST OF BRED winner ( over Top ranked Specials) from the 9-12 puppy class!! 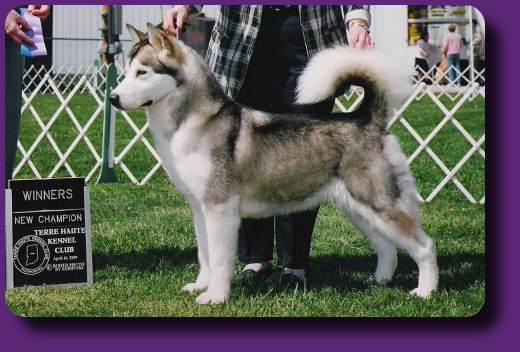 Pepper was bred to our dynamite youngster..."Phoenix"~~ Ch. Kasaan's Rise'N Up To T' Fortune in August 2009, .and whelped 8 beautiful babies Oct 17, 2009 ~ The breeding was repeated in July 2010, with a gorgeous litter of 4 boys whelped Sept 12, 2010!! Phoenix X Pepper Litter 2010 ......Watch for these handsome hunks, as they hit the show ring in 2011!! !